The BNP on Monday alleged that its acting chairman Tarique Rahman has long been in exile being subjected to the government’s political vengeance. “Today, we remember the day when Tarique Rahman was released from Jail. 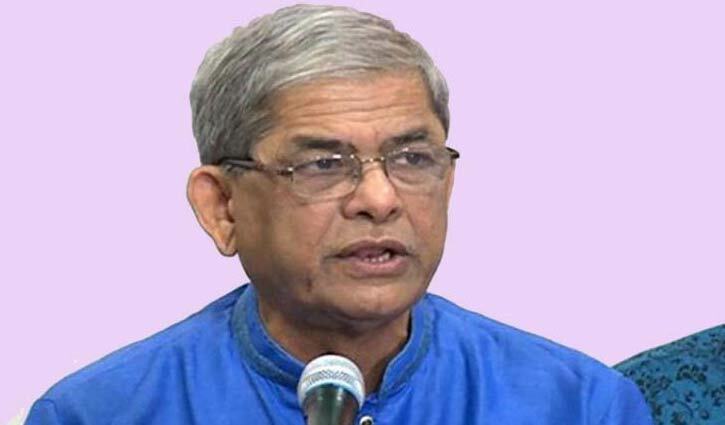 I think, he is not yet physically fit as he has long been in exile and he can’t return home as he was implicated in various false cases,” said BNP secretary general Mirza Fakhrul Islam Alamgir. BNP arranged the press conference at its Nayapaltan central office marking the day when Tarique Rahman was released from jail in 2008. Tarique, arrested on March 7 after the 1/11 political changeover, was released on bail on September 3 the following year. About Khaleda Zia’s conviction in Zia orphanage trust case, Fakhrul said their chairperson has been kept in jail unlawfully in a ‘false’ case. “She is not being released even after bail granted by the High Court,” said the BNP leader. The government sent Khaleda to jail through a planned legal process as it fears her immense popularity. “We would like to say Khaleda Zia and Tarique Rahman have become the victims of an individual’s serious anger and revenge,” he said.